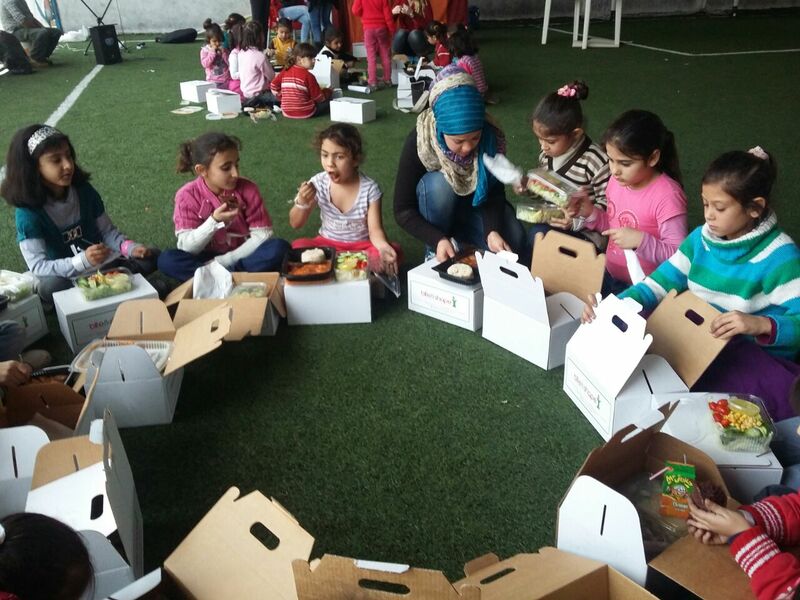 On December 6th the first Christmas dinner for one hundred refugee children was held in Beirut, Lebanon. The next two dinners will be held in Lebanon in mid-month. The remaining nine planned banquets will be in Lebanon’s Bekaa Valley. In all, 1,000 children will receive a hot meal, hear the Christmas story and music, and be given a basket of food to take to their families. 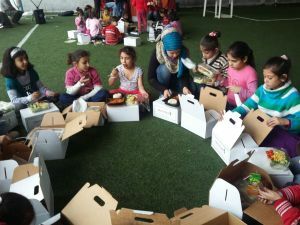 Because of the rising costs in Lebanon caused by the influx of Syrian refugees the program cost for 1,000 children grew this year from $41 per child to $58 per child. This increased the cost of the program to $58,000. Each child received a voucher for $40 of food at a local market for their entire family. Thousands of Christian refugee families applied for one of their children to attend. Regrettably three out of four families who heard about our program and wanted to send at least one child, were not able to. This is only the second year for this program, and it is the first year we were able to make it available in Lebanon. Sadly, there will be no lack of children to apply next year since Western governments, including the United States, continue to arm and fund Sunni rebel fighters who hate Christians and hate the secular government of Syria. I will personally visit the Bekaa Valley in Lebanon to watch over the operation of a couple of the dinners at different churches. This will help me, as program director, to understand the process in Lebanon and how we can better help the children next year. Hopefully we can assist during the rest of the year as well. 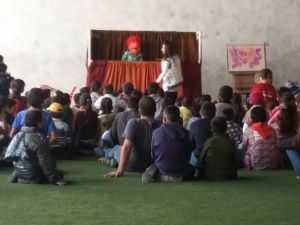 Additional benefits for the children in Lebanon: The ministry we are working with to administer the program in Lebanon supplied vouchers for food supplies for the families of the children to use at local stores near where they live. This is one of the benefits of working with existing ministries who understand the culture and deal with the refugees on a daily basis. I will fly directly from Beirut, Lebanon to Amman, Jordan to check on the progress of the program that nation. By the time I arrive in Jordan some of the planned meals will have been served, but I will be there for at least two others, to make sure the program is operated to our specifications. The food in Jordan costs less per child because our ministry partner there maintains a warehouse where food contributions are kept. This allowed us to keep the food cost to under $25.00 per child. Because we have experience from last year, this year the program should go more smoothly in Jordan. Please pray for the safety of the children at all times during the planned events both in Lebanon and Jordan! It is never too late to help with the program this year. Any funds received between now and the time the last dinner will be used to enhance the program. Even $5.00 can make a difference! Donate today! WATCH FOR MORE PICTURES AND VIDEOS!